“AI has the power to transform the financial services industry more than any other technology has in recent history.” Says Akshay Sabhikhi, CEO of CognitiveScale. 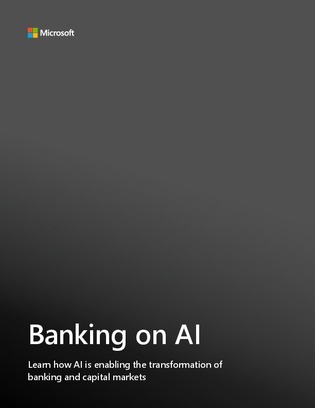 Artificial intelligence is going to optimize how banks work by helping them become more agile, make smarter decisions, and, ultimately, stay more competitive. In this e-book, you’ll find out how a combination of intelligent agents, modern apps, and machine learning can help your bank turn data into insight, transform ideas into action, and turn change into opportunity.